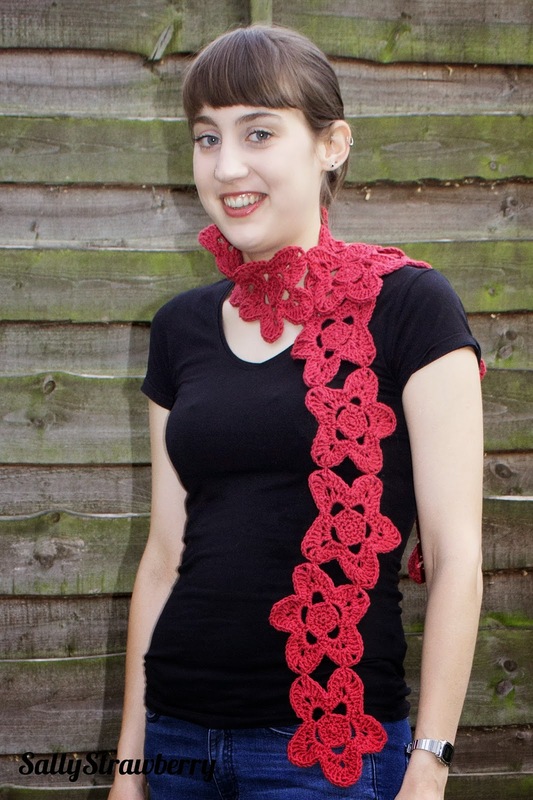 Introducing the Jenny Scarf! This scarf is named after my grandmother (nanny) Jenny who is never seen without a scarf. She is also a massive fan of the colour red and anything flowery. The inspiration for this scarf initially came from the yarn- Rowan Wool Cotton. It is a 50:50 mix of wool and cotton, making it perfectly cool for the late summer months. Knowing that this is a top priority in scarf choice for my nanny the design developed from there, incorporating her favourite things into one item! I hope she likes the final design! You can purchase this pattern from my Ravelry Store, or by clicking here- buy now. I hope you all have a great back holiday weekend!